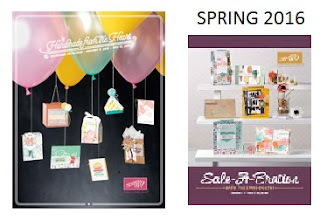 Today's post is for everyone who loves Designer Paper - or maybe loves it too much! If you're like me its really hard to throw away the leftover scraps of designer paper. Surely there's something I can do with them? Right? But I do confess to having, shall we say, a wee bit too much of the pretty stuff laying around. So I set out on a mission to find ways to use it up. 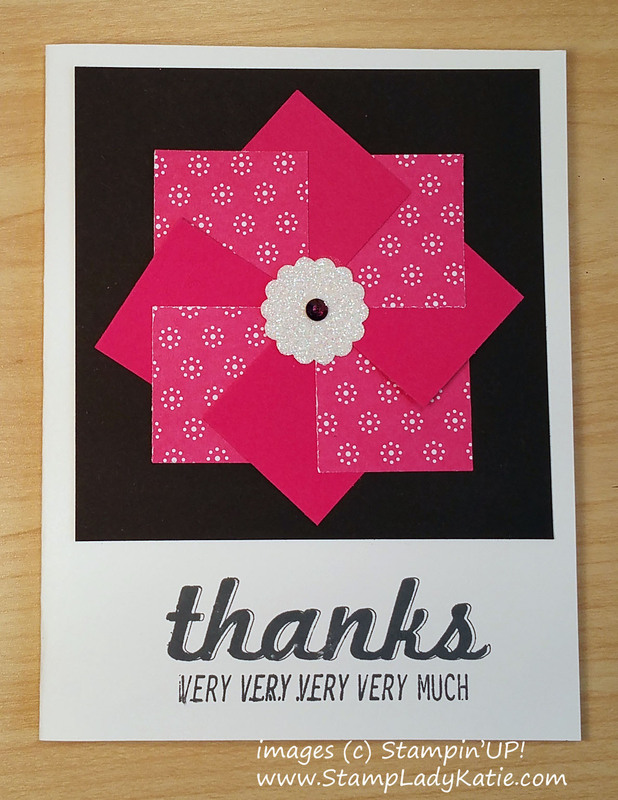 Here's one result - a pinwheel card. This is pretty easy overall. 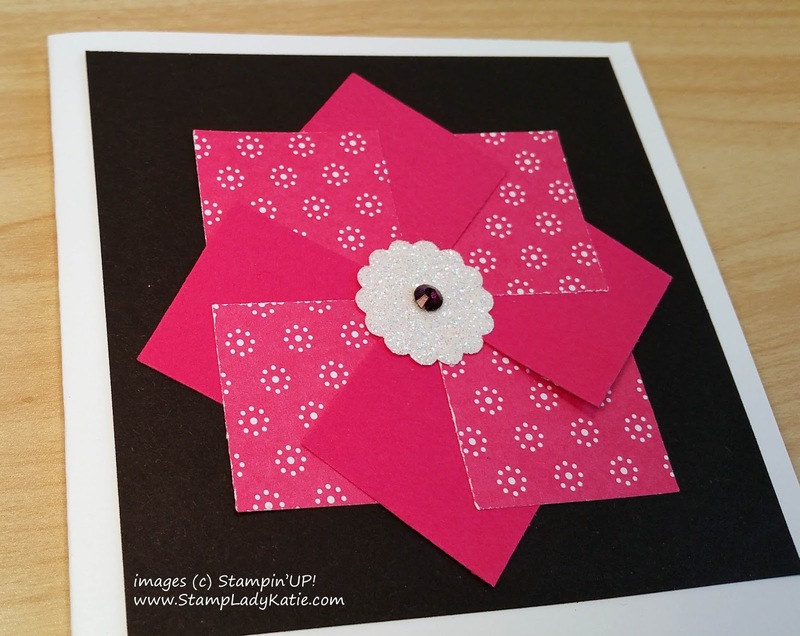 The pinwheel pieces are 1-1/4" squares, four each of 2 coordinating designs. Or in this case, matching cardstock. The darker base piece is 3-3/4" square. Here's How: If you can mentally separate the 2 sets, the printed squares are laid out in a square pattern with edges parallel to the framing layer. The solid color pieces are laid out in a square rotated at 45 degrees to the framing layer. Then you just alternate adhering them to the base. CAUTION: that first square needs to be glued on one half only, because the last square coming full circle will need to be slipped under it. I made a video showing how its done. I hope I inspired you. Maybe to try making a pinwheel card, or maybe just to clean and take inventory of all your scraps. And if you don't save scraps then I'm envious of your discipline for staying neat. Or if you don't have enough Designer paper you can always buy more from my store! sign-up for my class on Designing with DSP. Thanks for Stopping by: Take a minute and browse previous posts. If you see anything you like I'm happy to help you get the product or just to consult and explain further how the project was made . . . its all about having fun with our hobby. There are also ordering links under my signature. Your kit ships around the 15th. No minimum commitment, you can quit anytime.